Eta Carinae is one of the brightest and most massive stars in our galaxy. It is a dying and unstable star, having changed in brightness significantly over the past few centuries. 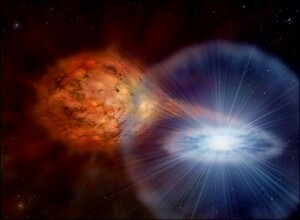 Because of a large eruption of surface material in the 1800s, it is a star surrounded by a veil of gas to this day. This makes it rather unique in the Milky Way. 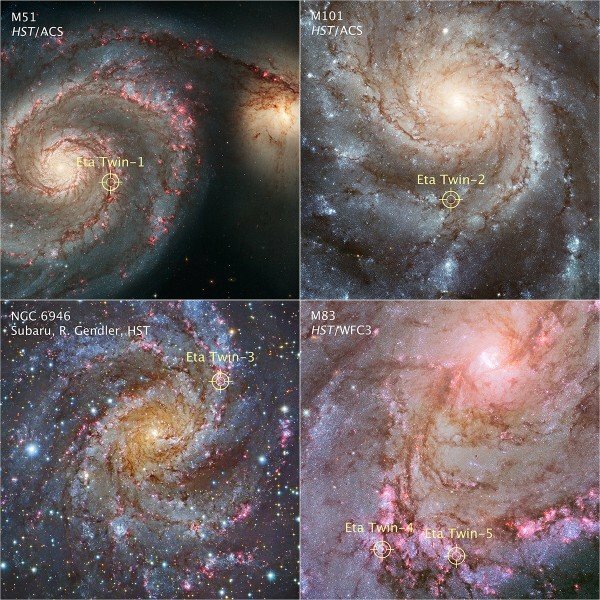 As far as we know, there isn’t another star like Eta Carinae in our galaxy, but new observations have found five similar stars in other galaxies. As outlined in a recent paper, the team that made this discovery developed a kind of infrared fingerprint making it easier to identify these kinds of stars. By comparing data from the Spitzer infrared telescope and visible observations from the Hubble space telescope they were able to locate these five stars. 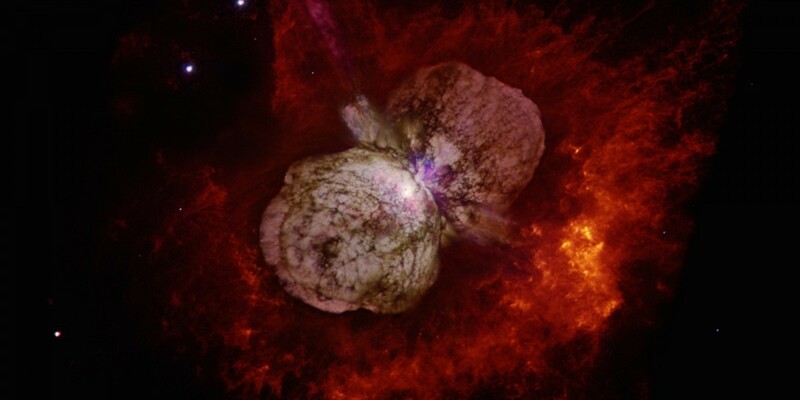 Since large stars like Eta Carinae are short lived on a cosmic scale, they are quite rare. Now that we have several examples, we can study how such stars end their lives, and possibly how they behave leading up to a supernova explosion. Credit for the main picture? Is that a photograph or an artist’s rendition?